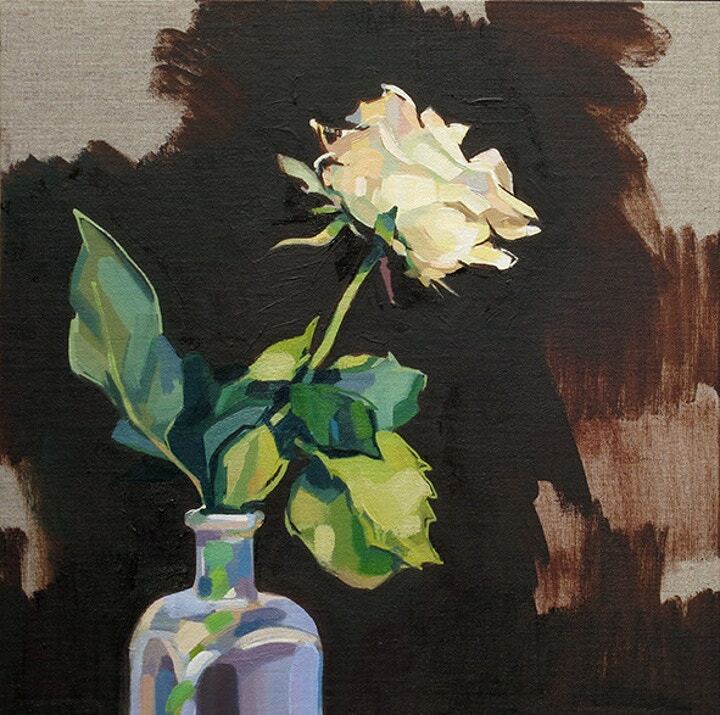 Lachlan Goudie is an artist who paints with joy. His paintings are about performance, theatricality and warmth, and it comes as no surprise that he takes so much inspiration from the Old Masters. His father Alexander Goudie was a revered figurative painter, and Lachlan himself studied at Cambridge University and Camberwell College of Arts. He became a member of the Royal Institute of Oil Painters in 2013, and most recently he has been judging The Big Painting Challenge, a BBC show that sees people competing for the title of Britain’s best amateur artist. 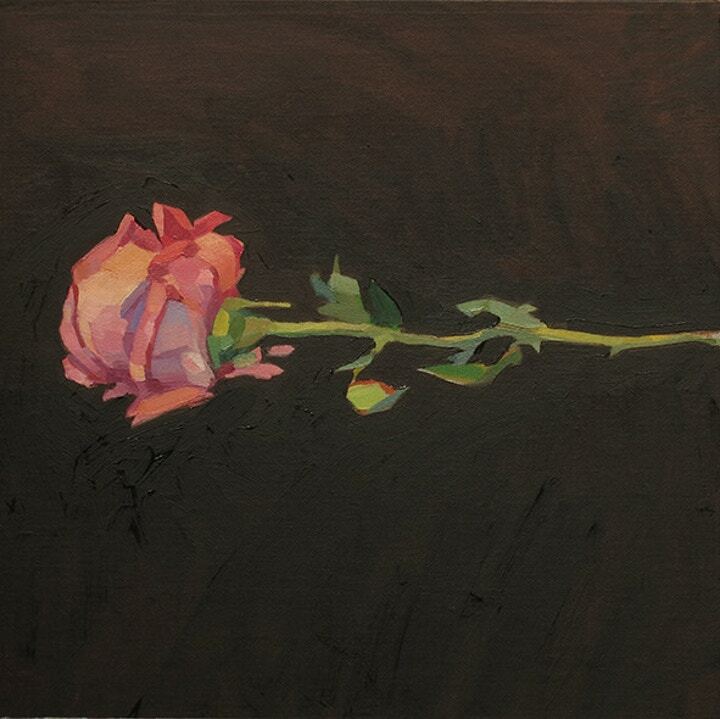 We caught up with Lachlan at his most recent exhibition, New Paintings by Tim Benson and Lachlan Goudie, at The Mall Galleries. We wanted to explore his newest works, and find out from him what it was likejudging The Big Painting Challenge and growing up surrounded by art. Hi Lachlan! Congratulations on the exhibition. Can you tell us a little about this collection of paintings? I’ve always been engaged with the tradition and history of painting. My father was a painter and we had a library full of art books, and he would pull them out and challenge me to make copies of Rembrandt and other great painters. I was about 8 years old, and I’d produce these crazy Piccaso-esque pieces, but it meant I really absorbed the influences of the Old Masters. 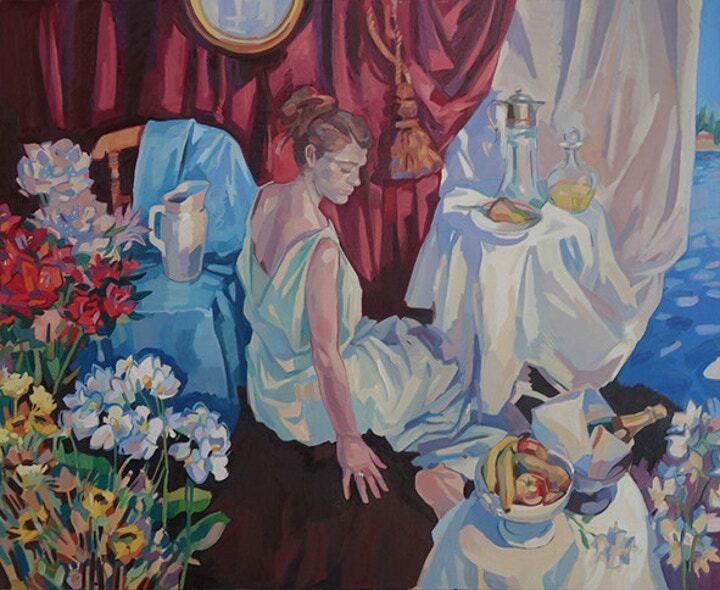 Many of these paintings see me appropriating figures from Old Master paintings, but introducing them to eccentric compositions and overlapping them with still life fragments. They become story boxes in a way, and enhance their theatricality and sensuality. 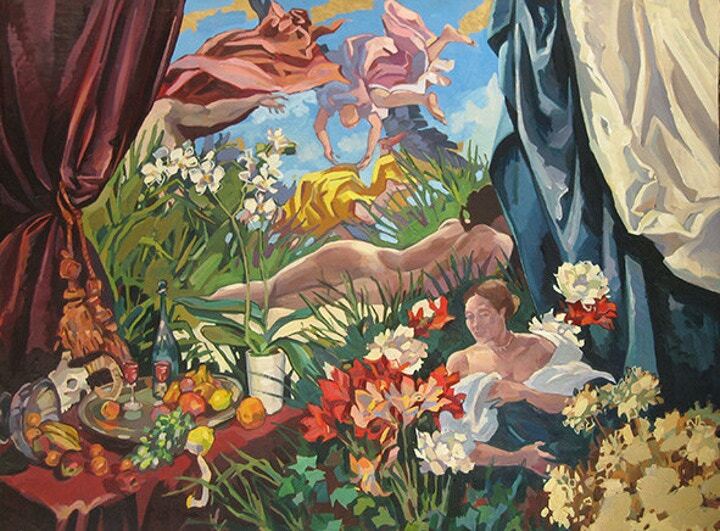 I got married four or five years ago and there’s one painting that shows my wife and the lyrical pleasures of being on our honeymoon, with the sunshine and the flowers and that sense of absolute contentment. I guess my paintings are about the exuberance of life. We can get so side tracked by the gritty reality of life, and my paintings really aren’t about that at all. They’re about performance and eccentricity. But then the flowers you can see are conversely very pared down and simple. It’s hard to paint something as obviously pretty as a flower, but it’s a good exercise, as it allows you to find ways of being creative whilst observing something very closely. With the larger scenes you can get away with quite a lot and lose a flower with one flamboyant gesture, but with just one flower, you’ve got to tell the truth! What oil paints do you use? I get all my art materials from Cass Art! I paint on linen panel boards, and I use Winsor & Newton Artists' oil paint. Sometimes I mix in a little linseed oil to smooth them out but mainly I just use turps, nothing extravagant. I like painting on board because it gives a nice resistance to the brush, and if you spend the time stretching a canvas it’s more of a shock if the painting goes wrong. I can be more fluid when painting on board. If you had to save one art material from a burning building, what would you choose? It would probably be my trolley palette – but I don’t know how I’d get it out of a burning building, it’s so bloody huge! It’s caked with paint, and was actually my father’s, so it’s got layers of my dad’s paint and now the ones I’ve been adding. If you sliced into it it would be like a tree with rings of paint inside. What’s your top tip for someone wanting to start oil painting? Many people have said to me that they struggle to describe details when oil painting, and I think that’s because oil brushes are so much thicker than watercolour brushes so it’s hard to make that transition. What I would say is paint broadly, block in colours across the whole board and don’t leave areas of white because then it’s harder to calibrate colours. Make broad, gestural strokes and build in detail from there. You can make details with generously sized brushes, just by hinting at shapes – you don’t need to use small brushes for detail. Do you think people worry about trying new mediums? Yes, we all build up barriers and think that it’s upsetting to try a new medium, but you do need to make that step. Who knows how you’ll perform? It’s tough to make these leaps but just play around and see what happens. It can lead to great things. What was it like judging the amateur artists on The Big Painting Challenge? Daphne and I approached it as if we were in an art school. We didn’t have an option, really, we couldn’t be sweet about it…if a painting wasn’t working then we had to tell them. Some people think that it was harsh but the fact is that every artist deserved us to be forthright, and they needed that exchange of opinions. You can only grow as an artist by absorbing people’s comments, whether it was criticism or encouragement, and the artist could figure out what was crucial for them to take on board. It was hard work, long days, trying to give your best and constructive comments to everyone. And it was never intended to be throwaway or for the cameras. It became an art school in a way – it was a community of artists hungry for feedback, and that was great. Do you think it’s important to champion the amateur artist? It’s vital! Britain is the country of the great amateur artist. It’s easy for journalists to make headlines about controversial art and dismiss the rest. But there’s no shame in discovering the pleasure of painting, and there are as many challenges in capturing familiar and simple subjects as there are in dark, complex narratives. 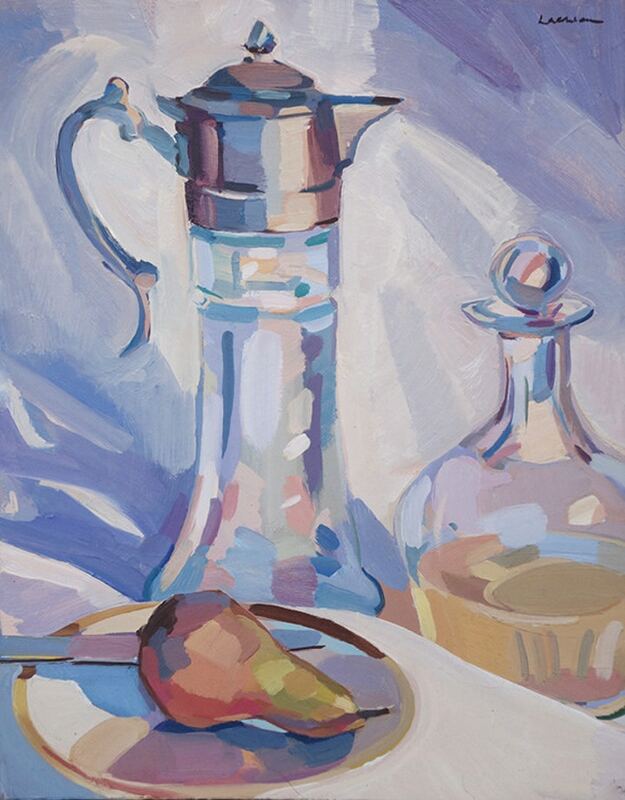 Do you have a personal favourite when it comes to subject matter? 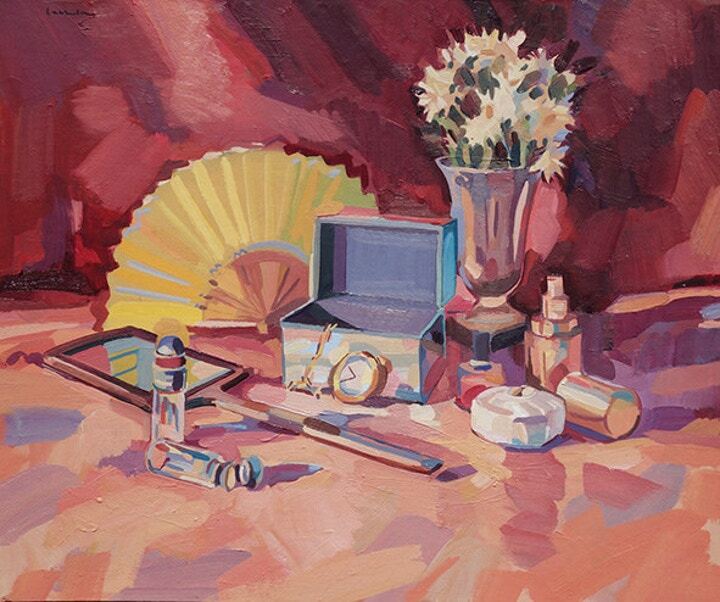 Your paintings cover all manner of things from figures to still life to landscapes. So many things affect how I paint when…the sounds, the climate, the weather…when I paint in the Western Isles and the sun is being chased by the clouds…I can hear running water and the sound of seagulls…that all influences my colours and how I capture the scene, and I love that. I like painting still life because it tests me from every side, the ability to draw, paint, compose and tell stories, but I think landscape painting is my all time favourite. Did you always want to be an artist, growing up and watching your father? I was always drawing and painting, but my dad was very careful about making sure I wasn’t following in his footsteps for the sake of it. I became an artist because I wanted to do it. At first I wanted to be an architect, and then a film maker…I went to university before art school because you needed a degree to go to film school. But I continued to paint whilst at uni and I got a scholarship to paint, and that’s when it felt right, that I had a commitment to it. It’s a vocation in some ways. I feel compelled to do it. You may have already answered this, in that case, but why do you paint? Because I’m propelled to do it. If I don’t, I feel an absence. And I’ve got the ability to do it, it feels natural, and to transform something that I find beautiful and exciting and share that with other people is great. As viewers, you can empathise with such a simple subject, you can feel great pleasure when an artist has got something just right, you can feel like you’re there on that beach or watching that sun go down. And that's pretty weird and powerful. And painting means I can be a part of life, a part of that process, forever. 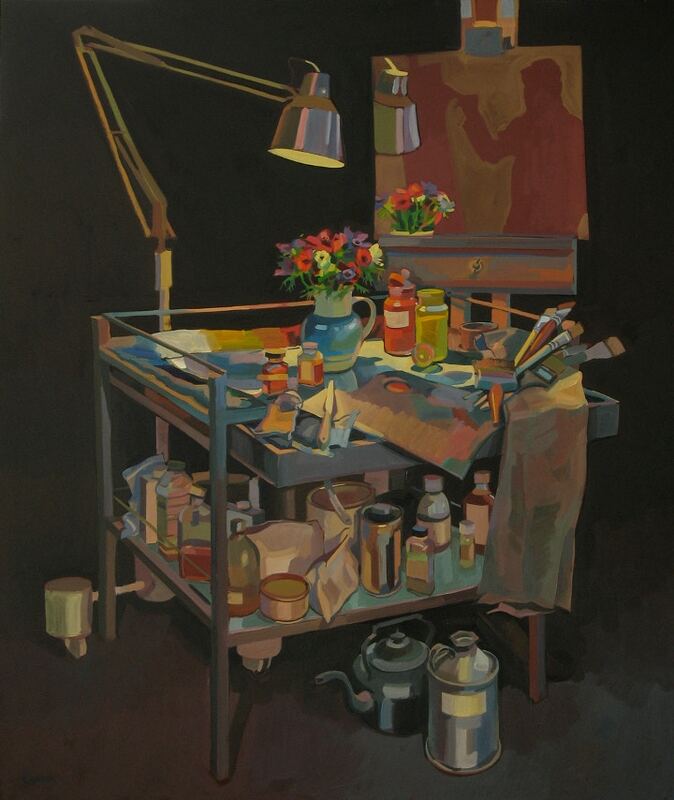 You can visit Lachlan Goudie’s website here and see more of the work that he had on show at the Mall Galleries. Browse Lachlan’s paint of choice, the Winsor & Newton Artist Quality Oil Paint, and his surface of choice, Linen Boards. Start oil painting with our range of art supplies here.